If there is no stamp on your pallet it means that it has only been used for national pallet deliveries. However, when stamps are branded into the wood, each one has a different meaning. The function of the stamp is related to international shipping, as the wood needs to be treated to prevent the spreading of pests and fungi. IPPC logo - This signifies that the pallet has met the standard of the IPPC (International Plant Protection Convention), which in turn means that the pallet has been treated in some way to prevent the spreading of invasive insects or plant diseases. This treatment has to be supervised by an agency approved by the IPPC and includes those mentioned below. HT - Pallets manufactured in Canada or the USA undergo a pest-controlling heat treatment (HT). The procedure includes heating the core temperature of the wood to a minimum of 56°C for softwood and 60°C for hardwood. They have to be at this temperature for a minimum of 30 minutes. KD - Kiln-drying is a method to remove moisture from the wood, to prevent warping and fungal growth. The kilns used does not necessarily reach 56°C, and as such requires a separate designation. However, companies drying the wood also heat it up to the required temperature and as such the stamp KD-HT is branded on the pallet. MB - When the wood has been fumigated with Methyl Bromide it gets the stamp MB. This is a powerful pesticide used to combat, among other insects, the pine beetle. This type of treatment is banned in many countries as the compound used has been linked to having negative health effects and depletes the ozone layer. Due to the dangerous implications of this chemical it’s rare to find pallets treated with it, but if you see the stamp you should be careful. DB - This designation means the wood has been debarked. To receive this stamp, the process needs to have been done under IPPC regulations. If your pallet only has this stamp it means there has been no treatment applied. 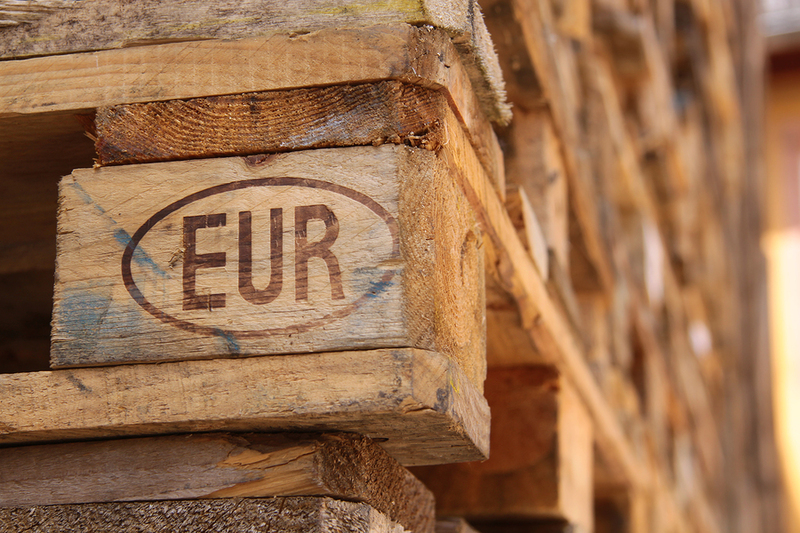 EUR/EPAL - This stamp signifies the same thing, but EUR is an old stamp from the times when pallets where handled by railway companies. If you can choose, always look for ones stamped by EPAL. They are heat treated, but have not been subjected to any chemicals. So now you know what the pallet stamp signifies and which one to look for (or avoid!) for your pallet deliveries.